Prize: Enter for a chance to win a $5000 American Express Gift Card. Search our classified car and job listings to win! If we reach 50,000 views by 11/30, one lucky visitor will win $5000! 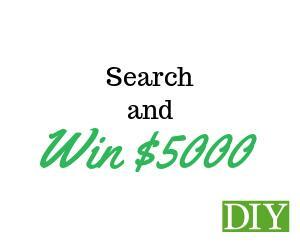 What you must do to enter: This method of entry will be available by visiting our website and submitting a DIY Marketspace approved classifieds posting between the contest start and end dates.